This post brought to you by Tazo® Tea. The content and opinions expressed below are that of JaMonkey. 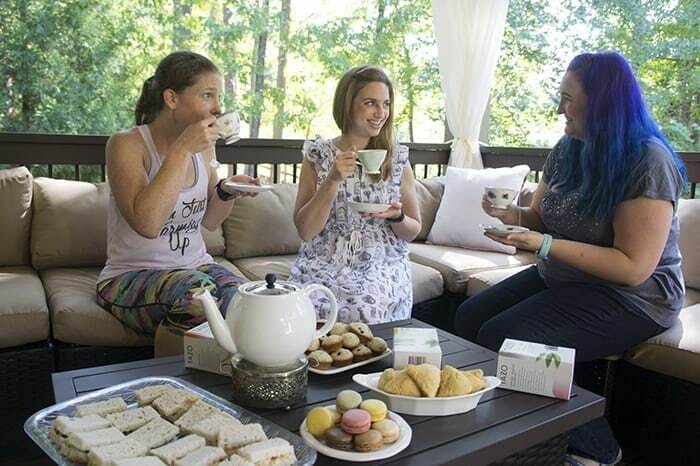 This week I got together with a couple of girlfriends for a mid-day gathering for tea. Sometimes it's nice to get together when the kids are at school, which I've never been able to do until this year. It's so strange not having my little Squish around during the day. Aside from getting a lot of work and school done, it's so quiet sometimes I feel like I need to fill the gap. It's much harder to get together during the evening because our families are home, and we didn't get to see them all day, so that becomes family time. Getting together during the day (when we aren't at the gym working out) is a nice way to relax and catch up outside of our Facebook chats. When I say we had tea, I mean we went all out and got food to go with our tea also. I made little cucumber and chicken salad sandwiches and cut the crust off. I found French macaroons and pumpkin scones at my local bakery also, and you can't have tea without it either. Little blueberry muffins rounded out our table of treats. My kids were quite jealous when they saw them entering my shopping cart. They're lucky I saved them some. 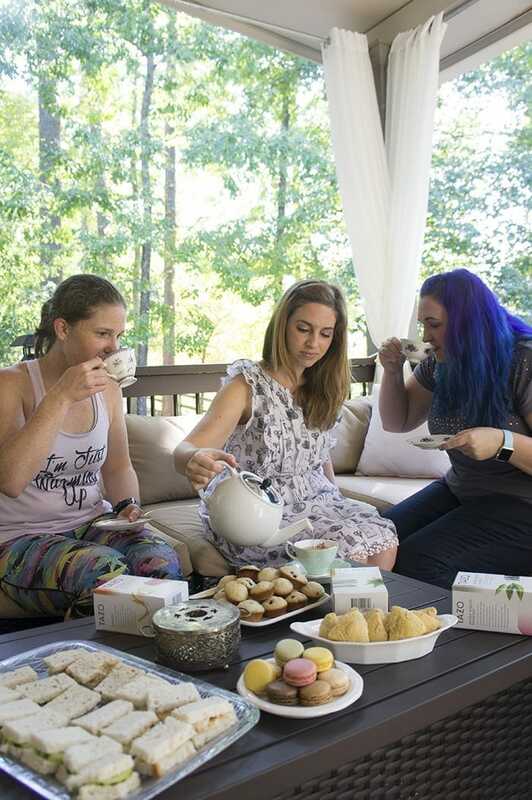 My friend Lindsey collects the most beautiful tea cups, so I asked if we could enjoy our tea at her house and make it a fancy occasion. She even donned her Alice in Wonderland dress for the occasion. I think morning tea may become a regular event, except with less breakable cups. I was so nervous holding them. Some are antiques that cannot be replaced. I'll stick to mugs next time and feel much better. 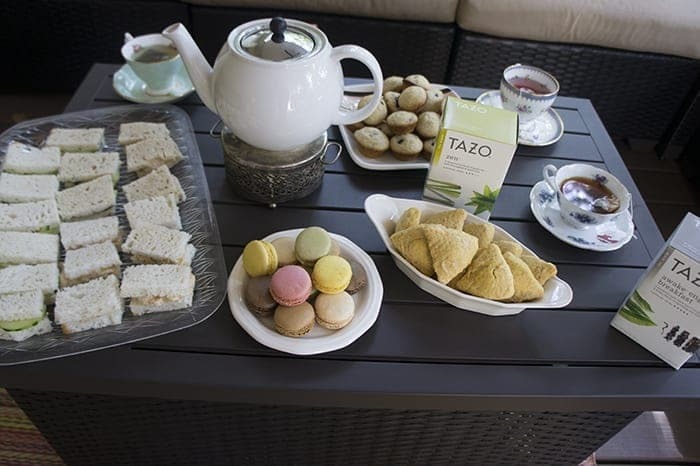 We sipped on a few Tazo® Tea blends like Awake™ English Breakfast, Zen™, and Passion® that I hadn't tried before. 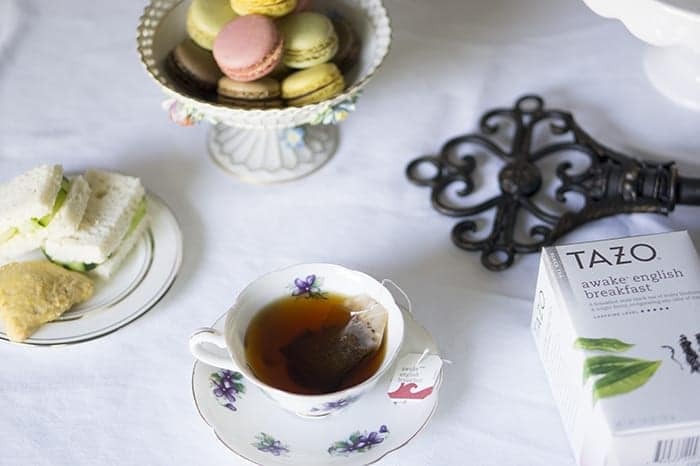 I love switching up my daily routine and having tea sometimes because it offers me more flavors blends and it just has a more mellow flavor to me than coffee. 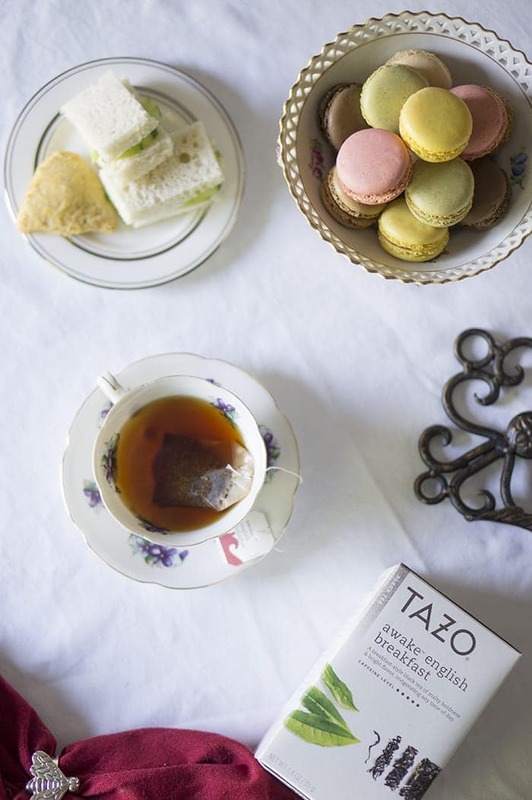 Tazo uses some of the finest quality tea leaves, spices, and botanicals to create vibrant and unexpected blends. I'm so thankful to have such great friends that live close by; they are my tribe. It's pretty awesome that our kids get along too. What do you do when the kids are all away, and the house is quiet? The tea is amazing. I have a box of it in my pantry I like to have all the time. And, macaroons and good company are really all I need!